“Golden” and “Axe”. Two words, spoken in the correct order, that are guaranteed to invoke flashbacks to a time where musclebound barbarians rode miniature dragons while stout dwarves knocked the hell out of things with their axes, and throwing a bottle of Blue Curaçao into the air invoked powerful magic. “Prequel”. A word guaranteed to make the average film buff go all hand-wringy. Italian modder Baritonmarchetto has released a freeware prequel to Golden Axe. It’s called Golden Axe: Myth. And it’s pretty good. Barbarian handshakes all round! Despite Asian-influenced artwork that jars a little with the setting the game manages to preserve the atmosphere of the original. The most severe departure art-wise is that Tyris Flare, formerly a buff Amazon warrior, is now a knock-kneed anime girl with a gravity defying chest. Elsewhere, the riding beasts we remember so fondly from the original are all present. A good old reliable cockatrice shows its beak in the first few seconds of the game, and the opportunity to leap on a miniature dragon is thrown to the player within minutes. The designers have built on this much-loved feature of the original, expanding the range of mounts available to the players - including a gargantuan stone golem amongst others. The end bosses are fun as well - the first being a rhino-man with snake heads for hands that could easily have leapt from the pages of a 1980s Dungeons and Dragons monster manual and probably has inordinate difficulty with personal hygiene. In true Golden Axe style the hordes of mook villains from the original game are represented faithfully, with a few tweaks in some places. The thieving sprites still appear in fights and campfire scenes- but they’re pretty chubby now. It seems nutrition was better in the time of the prequel. The game is based on the Open Beats of Rage engine, which makes for pretty smooth gameplay, but Golden Axe: Myth does hit a few snags on its quest for glory. The riding beasts, which were so much fun in the original Golden Axe games, are a bit unimpressive. They’re cool, and an iconic part of the Golden Axe franchise that couldn’t really be dumped, but they are a little sluggish to control and don’t really make a lot of difference in a fight. Still, it’s not like we’re spending money on continues, and if clomping around on top of a truck-sized rock monster ends in the loss of a life or two it’s really just small change. The cuts to narration before some fight scenes aren’t exactly made for single player mode - it’s like the game stops while the character has a chat with his imaginary friends. Hardly a game-breaker though, and it shows the developers put effort into plot and narrative. Speaking of which, the plot itself is pretty straightforward, with the three warriors plus an extra character who I won’t name here because I’m pretty sure it’s meant to be a surprise. All in all Golden Axe: Myth is an absorbing game. I found myself going from vaguely interested to completely gripped in about 10 minutes of play. The duel mode, pitting the player against successive waves of enemies, is a fun diversion from the story mode, and the ability to record videos of your adventuring is a neat feature. 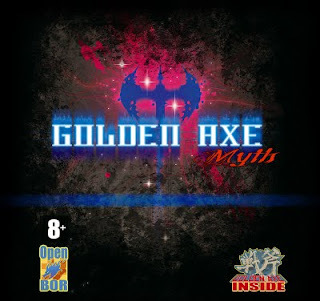 Golden Axe: Myth. Check it out, before Sega issues a cease and desist order. 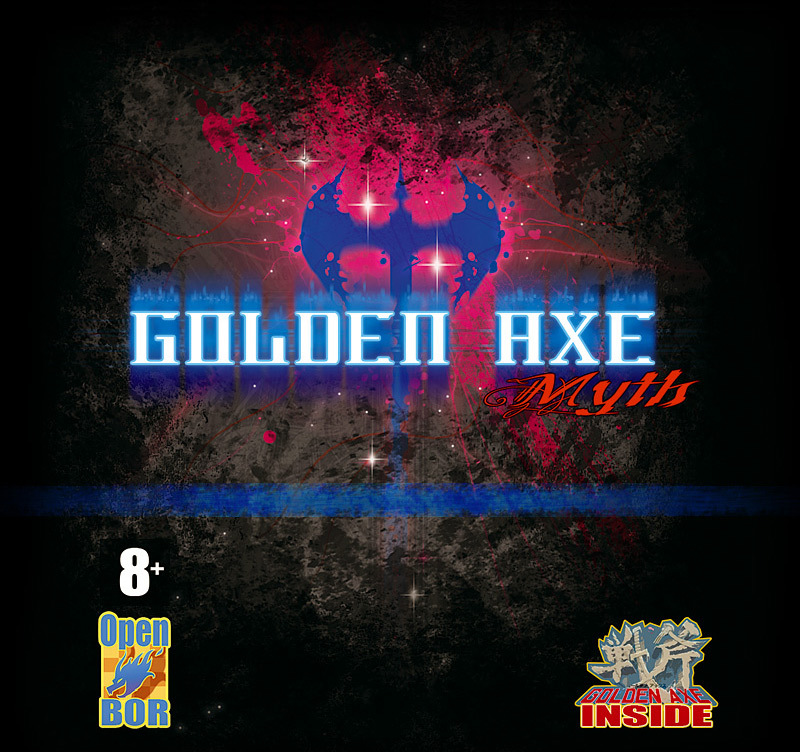 Download Golden Axe: Myth here (from the developer's website).